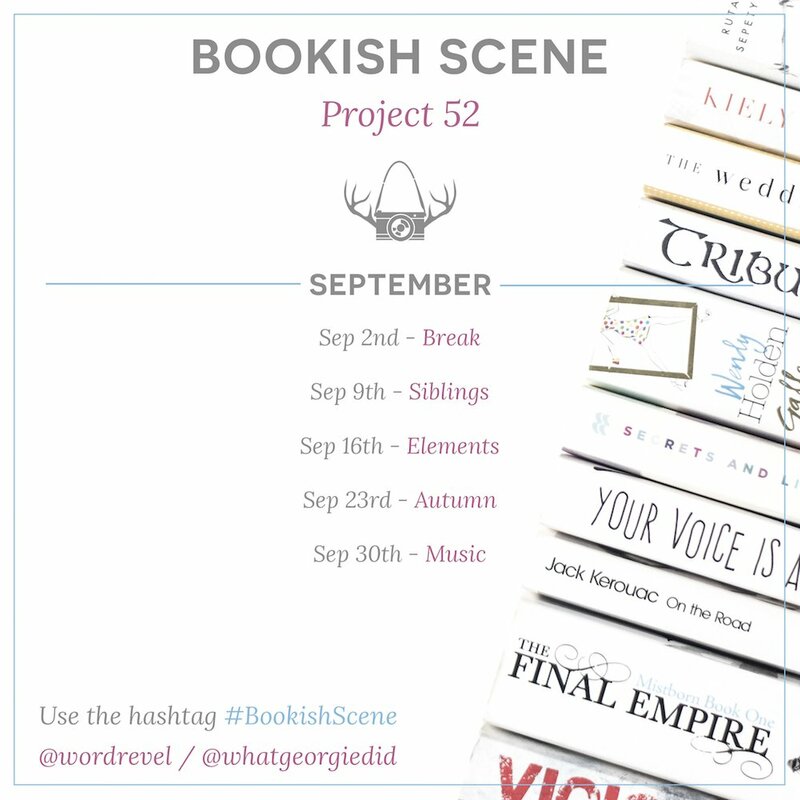 Back to books again after all those travel pictures with a new Bookish Scene: Project 52 pic! This week’s theme is „Siblings“ and first I thought I would pick books with similar covers that look like siblings/twins but couldn’t think of any that I actually own print copies of, so I tried a different approach and picked the books from the Miriam Black and Atlanta Burns series. These books were not only written by the same author (Chuck Wendig) and therefore have the same „father“ but also their protagonists have a lot in common and that’s why when I was reading „Atlanta Burns“ I always had the feeling that she could be Miriam Black’s younger sister because both their lives are pretty fucked up but they have their very own (and sometimes pretty violent :D) way to deal with them, so they would make perfect siblings. Are you still going to use your other idea, too? It still hurts that the upcoming Miriam Black books are getting new covers though. I mean I also like the new ones but the old ones were just PERFECT.